A clear day in Los Angeles provides a deep blue backdrop highlighting the Getty Museum’s distinct lines and edges. Viewed from below in the Central Garden, this is the West Pavilion. The fossilized travertine stone used throughout the campus comes from a quarry near Rome. It’s color changes throughout the day – sometimes cool, sometimes warm – varying with the sun. The rough texture used on the gallery building contrasts with smooth finishes used near the entrance plaza. Architect Richard Meier makes use of sharp lines and curves to delineate spaces and highlight vignettes both within the museum campus and beyond the grounds to include the surrounding Santa Monica mountains, the Pacific Ocean and the City of Los Angeles. 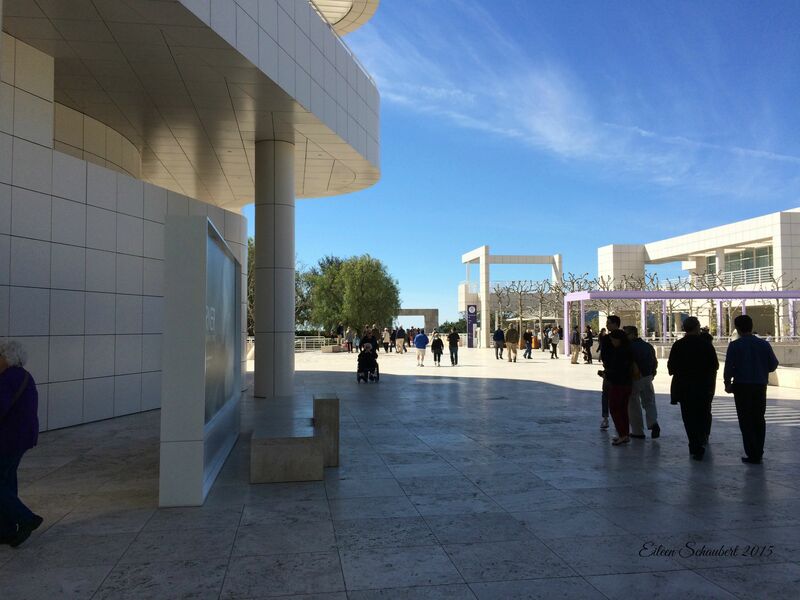 Visit my previous post LA Touring – Museum Stops for some more photos from the Getty. I love the first shot – the colour of the building against that blue sky, it’s fab! 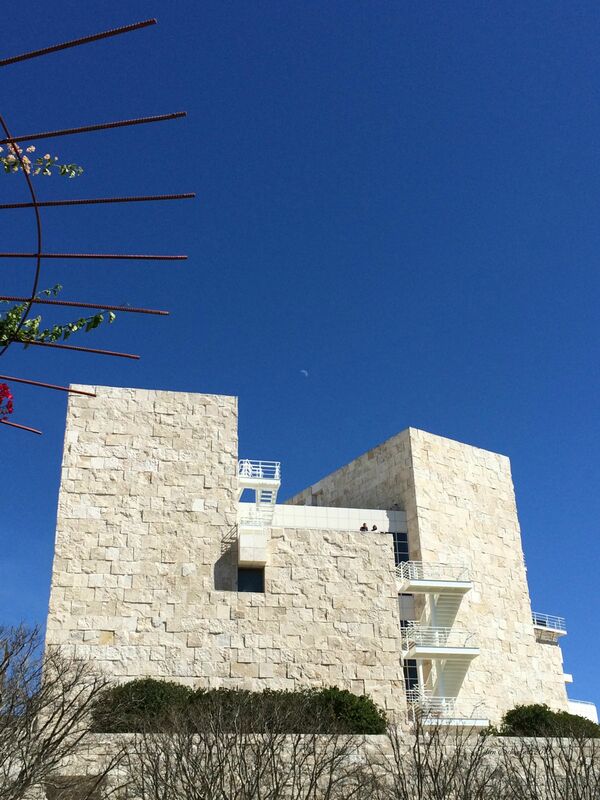 Thanks Sonya – it’s amazing when the LA skies are that blue!